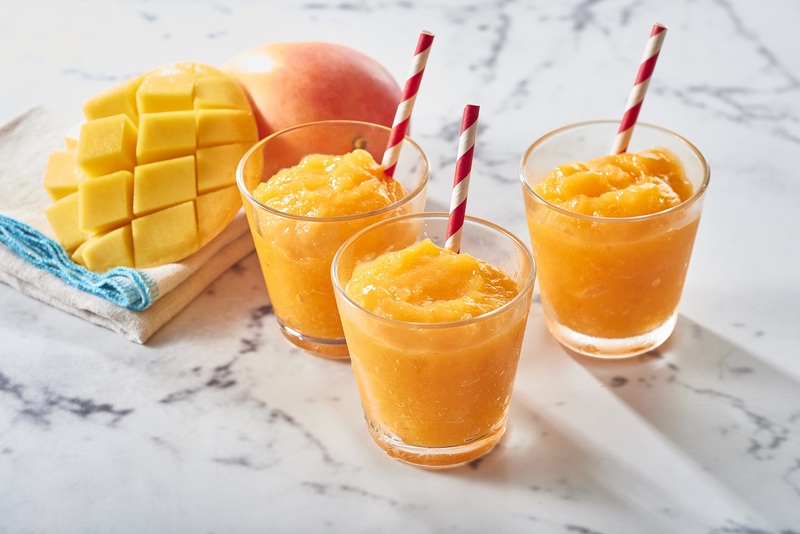 Blend three chopped mangoes in a food processor or blender with the juice of one lime, 1 cup water and 1 tablespoon of caster sugar. Strain then pour into a metal tray and freeze for 3-4 hours. Remove from freezer and blend mixture again to a smooth slushy consistency. Serve immediately. Tip: For an adult treat add a shot of vodka or gin when blending just before serving.